My sister, Dom, and I had a really bad sweets craving this weekend past. 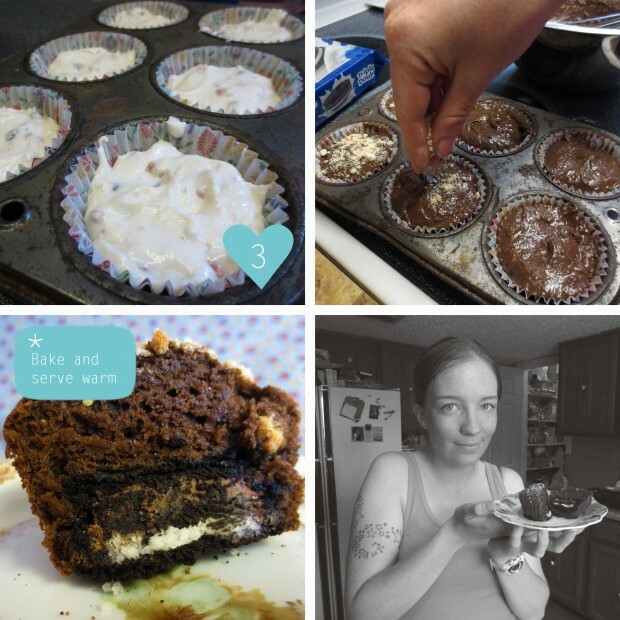 She had been sending me pictures all week long of delicious treats that she wanted to try making. We picked two from the list and, from pictures alone, tried to re-create the beautiful confections that had us drooling. Our two choices were Confetti Pancakes and Oreo Cookie Muffins. I thought I might share these extremely easy steps so that you, too, can enjoy scrumptious treats with your loved ones. First we bought all the supplies we needed for both dishes. We went the easy route and bought pre-made mixes that needed little to no extra parts to create. Most of the mixes just required water or milk. 1. Mix your pancake batter. We followed the instructions on the box. 2. 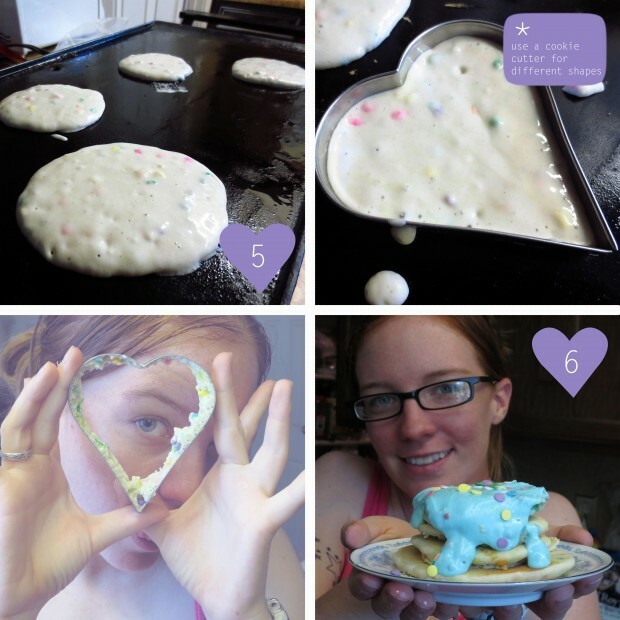 Add your sprinkles to the pancake batter. 4. 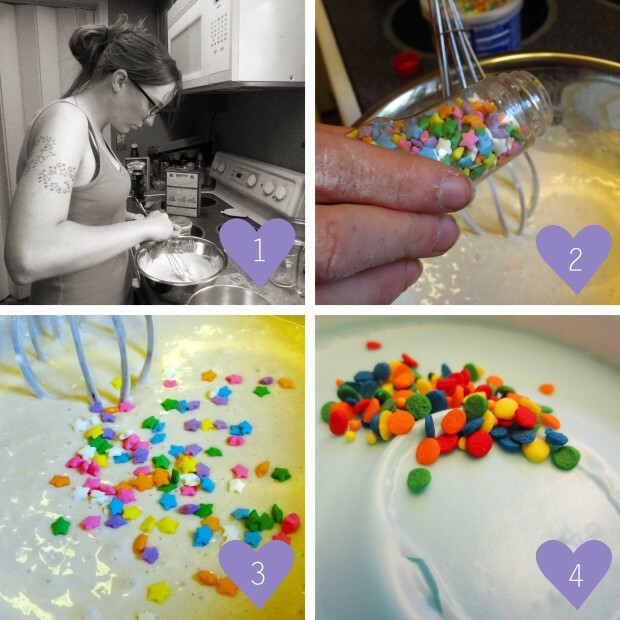 Mix in sprinkles to your icing. 5. Using griddle, cook pancake batter for two minutes on each side. We made ours smaller since we were eating them in the afternoon. This made for a nice little snack instead of a full meal. *We used a heart shaped cookie cutter to form a few of the pancakes. 6. Heat up your icing till it is nice and runny. Drizzle over the top, add a few more sprinkles and ta-da! you’re ready for a little piece of heaven. 1. Mix up your muffin mix per the instructions on the packaging. *We did two different batches. 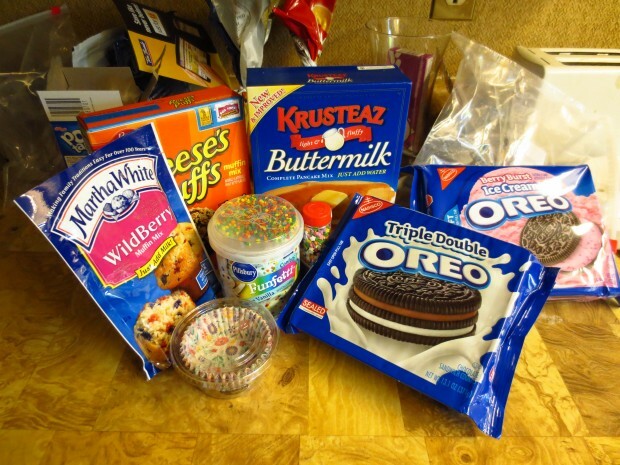 One with Berry Burst Icecream icing Oreos and Berry Muffin mix and one with ‘Triple Double’ Stuffed Oreos and Reeses Peanut Buttercup muffin mix. The ‘Triple Double’ Stuffed cookies worked best. 2. 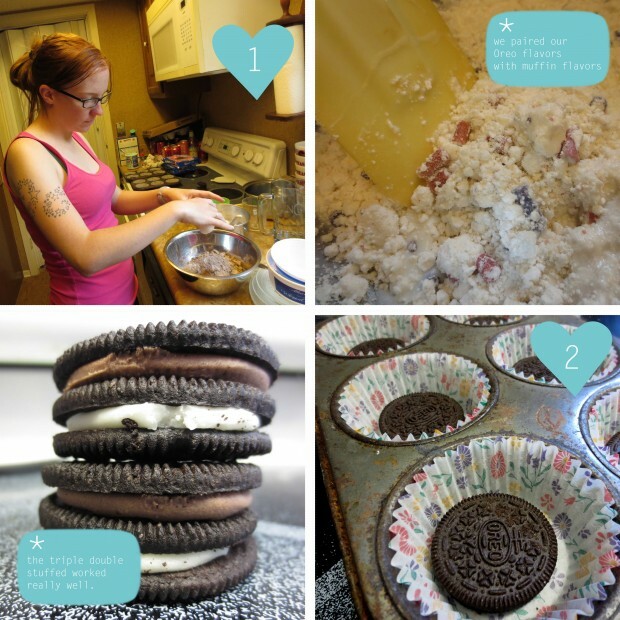 Put your muffin cups in the pan and place the Oreo cookies on the bottom. 3. Cover the cookies with the batter and cook per the instructions on the packaging. Haha! That was some good cake! This was a complete blast. I absolutely cannot wait to go through our other baking ideas! I felt like a little chef! I agree! Total blast. I can’t wait to do more of them and post about the delicious treats we make!